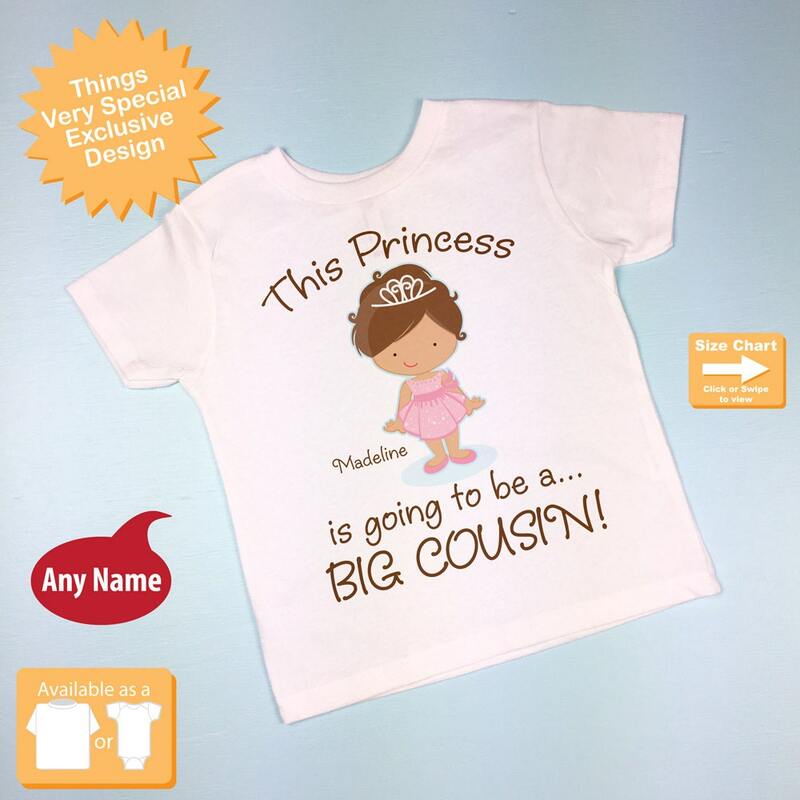 If your little niece is a brown haired princess and is about to become a Big Cousin, this cute little Princess tee shirt or Onesie bodysuit is perfect for her. I also have this available in other hair colors. 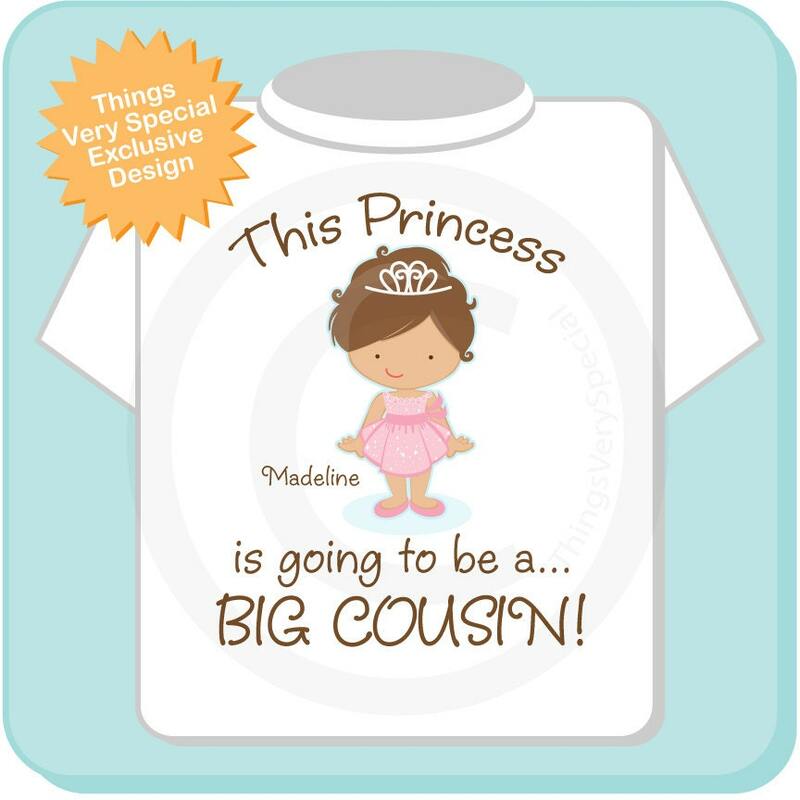 This was a gift for my niece who was about to be a Big Cousin. The shirt looked great and she loved it the moment she saw it. 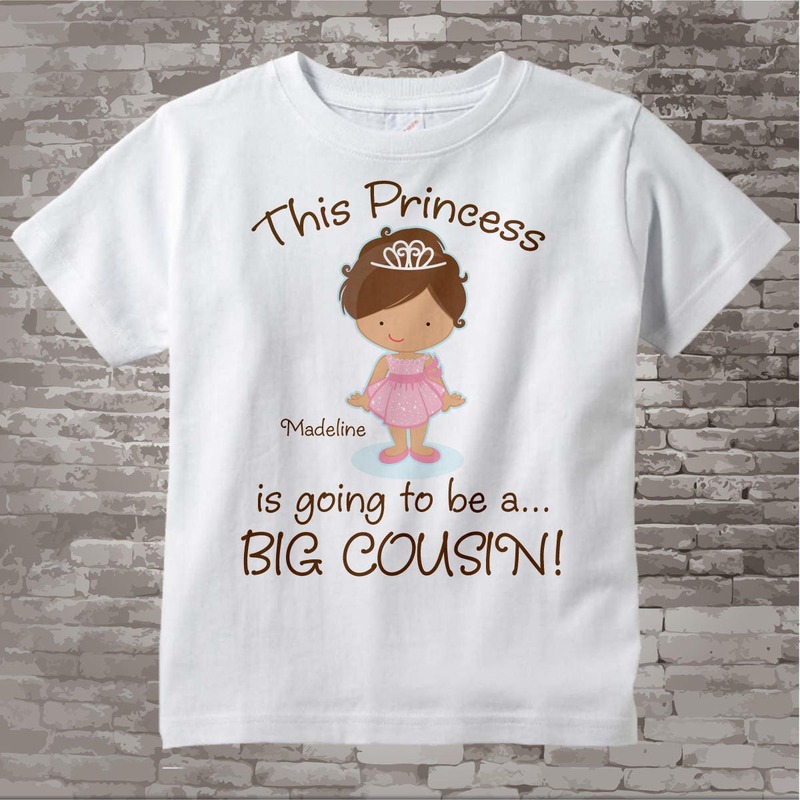 I bought this for my Niece as the way to reveal we were pregnant. She was so overjoyed and honored and thought this was such a cool way to announce our pregnancy. Great quality! Exactly what I expected and it shipped fast! It was perfect thank you!